Levin-managed Hamilton Plaza (Hamilton Township, N.J.) has notched a major milestone in commercial retail leasing, achieving 100 percent occupancy with the lease of America’s Best Contacts and Eyeglasses. Currently in an aggressive expansion mode, the 350-store chain of discount eyewear and eye care stores, was attracted to Hamilton Plaza’s access to a growing and affluent residential population in Mercer County. Located at the intersection of Route 33 and White Horse-Hamilton Square Road, the 175,000-square-foot shopping center boasts an average daily traffic count of 47,000 vehicles. The population within a five-mile radius of this prime retail real estate site is 177,000, with an average household income of $87,000. In addition to its high-traffic location and expanding population, Hamilton Plaza offered this latest tenant a strong position among a diverse mix of popular national retailers, services and restaurants. America’s Best Contacts and Eyeglasses will join A.C. Moore, Sleepy’s, Petco, Dollar Tree, Hallmark, Radio Shack, Let’s YO!, Moe’s Southwest Grill, Texas Roadhouse, and other leading brand names that make up the retail line-up at Hamilton Plaza. 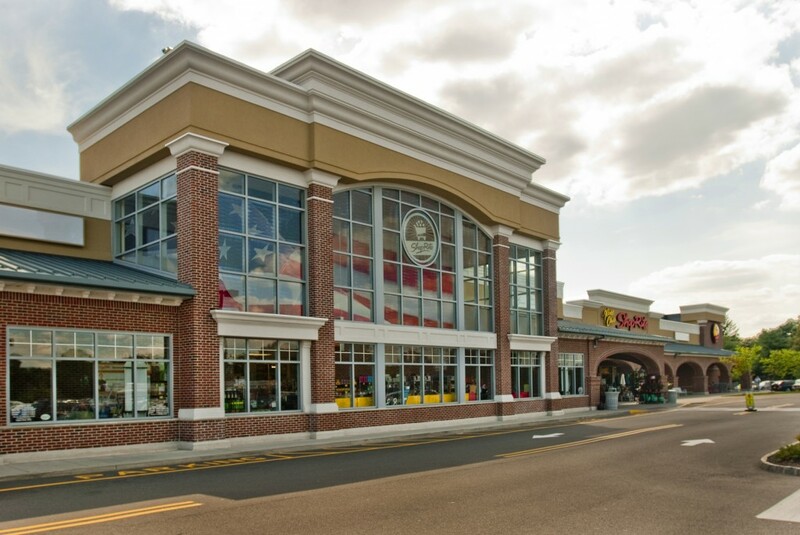 The shopping center is anchored by an 80,000-square-foot ShopRite. We have worked hard to make Hamilton Plaza one of the top retail destinations in Mercer County, undertaking a mega renovation that transformed this property into a fully modernized shopping center. Our experts in property management services and construction management oversaw the replacement of building façades and outdated pylon signs, reconfiguration of the parking lots, new landscaping and the addition of two new pad sites and a 10,000-square-foot end cap. Hamilton Plaza has the potential for further expansion, thanks to a 3,075-square-foot proposed pad site, which has been approved for drive-thru. Look for news and observations from Levin executives in upcoming posts here at Retail Property InSites. Please join us and share your comments about our posts or about your own management experiences and challenges in retail real estate.